Home » international news » Can Macron, a reformer who listens, boost France's global influence and rekindle French hope? As Sunday May 7 approached, many feared France would become the third in a series of Western democracies to embrace nationalism, racism or kleptocracy, all of which featured strongly in elections in the US and the UK in 2016. Despite the high turnout for extreme-right leader Marine Le Pen (who won over 11 million voters) the country eventually chose democracy, Europe and liberal values, as represented by Emmanuel Macron. Even the alleged Russia-style hack on Macron’s campaign, which leaked campaign emails 36 hours before the elections, did not impede his victory. Macron’s walk to the Louvre (BuzzTv). Election day ended on a triumphant note with millions around the globe celebrating as the the 39-year-old made his entrance on the Louvre’s stage accompanied by Beethoven’s Ode to Joy, the European Union’s anthem. For weeks, the world had been talking about France, giving it advice and telling the French what was – and was not – the essence of their nation. Everyone had an opinion on France’s election (HBO). At home, though, people were most focused on the pressing need for domestic reforms, and concerned that failure to achieve them would call into question France’s future. The election was also coloured by sadness, fear and great concern for the state of global affairs – and not just among Le Pen supporters. These heightened emotions will characterise the new French president’s term when he takes office on May 14. The threat of terrorism, which France has faced far too often in recent years, was an added emotional burden on top of socioeconomic issues that, like high youth unemployment, have become a constant. For voters, these domestic realities resonate with the current crises facing Western democracies across the world as they struggle to deliver on promises of international human rights. After all, the three most important foreign policy dilemmas facing Europe are at France’s doorstep (and ports): Turkey, Libya and Syria. This may be one reason why this election felt so bad for so many. Strangely, the pan-Mediterranean refugee crises was not discussed in any great detail during presidential debates. But there is little doubt that images of people drowning or being rescued by NGO vessels, which regularly dominate headlines in France, were looming in the back of the public’s mind. Le Pen’s lack of empathy for migrants and her continual tirades on the refugee crisis were also well covered in the media, both domestically and abroad. In Europe and France, where so many people come from immigrant backgrounds, the fact that many French politicians opted to publicly support Macron, who openly supports immigration (though he’s less firm on the importance of aid to refugees) likely gave him a boost. Indeed, France today has become a much more pan-Mediterranean country than it was at when Charles De Gaulle became the first president of the nation’s Fifth Republic in 1959. De Gaulle, born in the northern tip of the country on the North Atlantic, focused on the country’s continental character and on continental European integration. He was one of the great leaders of France, but not a man with a Levantine or Africanist mindset. During De Gaulle’s term, the war for Algerian independence brought home over 800,000 pied noir French citizens born in Algeria in 1962 alone. French commercial and cultural ties with North Africa continue today, but France and Algeria have never been able to heal the scars over their history. Macron could break with this history. He has suggested that France should apologise for its colonial past. Macron also symbolically linked himself to French collective memory by using De Gaulle’s famous sentence “I have understood you” during his speech about Algeria and colonisation. All eyes are now on the reforms that Macron´s new government will be able to concretely deliver. It is not yet clear which talents, the president-elect can recruit without the support of the ruling Socialist Party. Manuel Valls, former French prime minister under François Hollande, is hoping to be among the happy few. His legacy, especially in foreign policy, could be an asset for Macron. 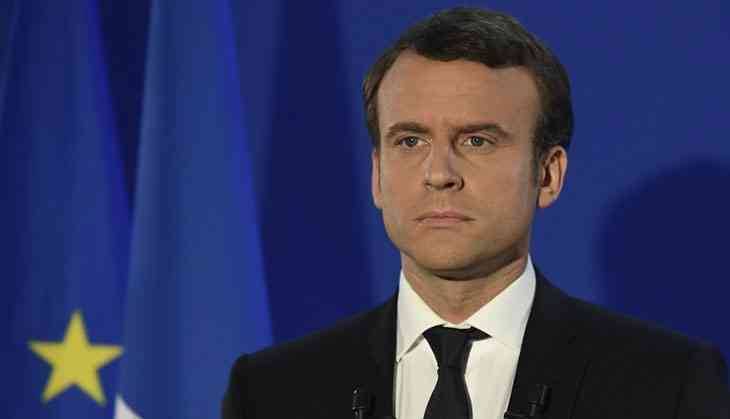 Indeed, despite his definite break with the ruling Socialist Party, Macron’s foreign policy is likely to look similar to that of his predecessor, though perhaps much more successful (Hollande leaves office a very unpopular president). But international relations under the Hollande-Valls government were actually not badly focused or badly run. Though he erred in diplomacy at times, as when France militarily intervened in Mali in 2013, Hollande’s focus on Africa was right. The African continent is part of France’s history, and it could be a crucial part of its future, too, through immigration and trade – if relations are well developed and sustained. Indeed, this focus will be crucial if Macron really intends to improve France’s relations with North Africa and to address the region’s security and humanitarian dilemmas. Hollande raised the issue of the consequences of colonialism while visiting Africa on many occasions, signalling to Europeans and Africans alike that the time has come to deal with France’s brutal legacy. Macron could open a new type of dialogue now by focusing not only on how Europe has affected Africa over centuries but also on how Africa has shaped the Europe of today. This would bring to a close an era of diplomatic relations shaped by former and current hegemonies. It would also help Macron attract the kind of innovation he said he would seek, bringing talent to Europe not just from the West but also from Africa. Without this major change of strategy, European-African partnerships are unlikely to thrive, and the refugee issue, among others, will continue to languish unresolved. The key to foreign policy success looks to be Macron himself. Though a relative political newcomer, the president-elect actually began his campaign for leadership in 2015. As Hollande’s finance minister, he made regular appearances in American media outlets. His performances were nothing spectacular; he delivered monotonal but effective messages, with a direct gaze to the camera. Former US president Barack Obama’s support message for Macron before the elections. But politics is all about staying on message, and Macron has been developing this skill for some time. He is also an affable fellow, someone the French people feel they can talk to. These traits, key in international diplomacy, may be one of the reasons he won on Sunday. Macron made a name for himself in the international arena as a path to power, and that familiar sphere may in fact be where the new French president will prove most able to make progress in the near term. As he seeks to implement his ambitious reform agenda for the EU and for France, he’ll do so from a new global perspective.